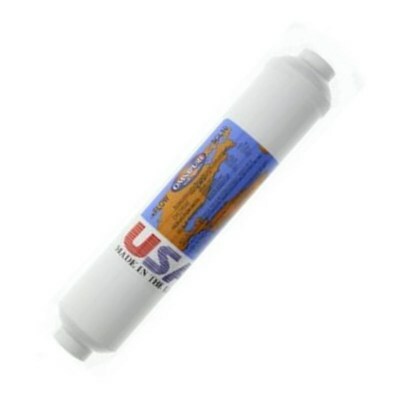 The Omnipure SCL10 is a 2" x 10" Granular Activated Carbon and Polyphosphate Inline Filter. It is highly effective at reducing chlorine and other chemical disinfectants and pesticides and inhibiting scale. This filter has 1/4" female thread connectors and is available with straight, fixed elbow or swivel elbow push fittings for 1/4" tubing.